Photon – Centre for Contemporary Photography is glad to announce the 6th Festival of contemporary photography – PHOTONIC MOMENTS 2012. 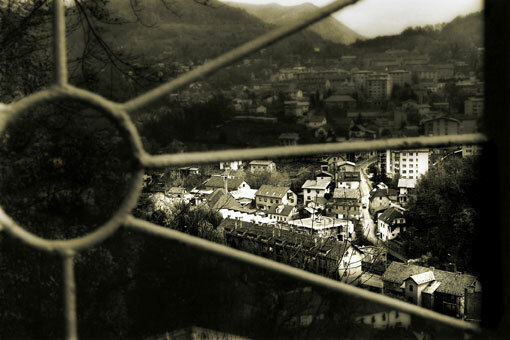 In May and June 2012, different venues across Slovenia, and in particular Ljubljana will host new edition of PHOTONIC MOMENTS – Month of Photography festival. Photonic Moments will present number of photographic and related exhibitions with extensive accompanying programme. Objectives of the event are to research, present and promote various practices in the field of contemporary photography, local, regional as well as international, to broader public. Following the up-to-date tendencies, the Festival is striving to support original and innovative artistic approaches. Festival’s programme is focused mostly on the presentations of photographic endeavours from the broader region of Central and South-eastern Europe, however, it will also present artists from broader international contexts. This year’s Festival’s edition will witness over 20 exhibition and related events, organised by Photon and number of its co-producers, festival’s partners ranging from public institutes to non-profit organisations and individuals who will contribute fragments to the programme of a month long and extensive festival’s programme. Within the festival programme there are five sections with several units. PHOTONIC MOMENTS – Month of Photography 2012 will feature the central group exhibition Aftermath. Changing Cultural Landscape, a regional project that explores how artists, working in the field of contemporary photography, reflected over visible changes which have occurred during the past 20 transitional years in the area of former Yugoslavia. Ljubljana’s exhibition is first presentation of this collaborative curatorial project that tends to detect, research and present artistic / photographic production from that cultural milieu from the period between 1991 and 2011. Therefore, the opening week of the Festival will feature two-day Forum – Talks on Contemporary Photography held at Cankarjev Dom, addressing the questions related to Aftermath project with contributions of collaborating curators, artists and invited experts. This year’ special attention goes to Magnum; festival will be officially opened with the Magnum’s First: The Face of Time exhibition, comprehensive group presentation of early works made by members of iconic photo agency Magnum. Magnum’s First is rediscovery and reconstruction of first group exhibition from 1955 which was for years considered as lost. Other sections feature many attractive program units presenting contemporary Slovene, Polish or Slovak photography; retrospective of Grupa Junij (Museum of Architecture and Design Ljubljana), together with solo presentations of relevant regional artists like Edi Šelhaus (SAZU Atrium Ljubljana), Ervin Debeuc (Cankarjev dom Ljubljana), Mario Giacomelli (MGLC Ljubljana), Klavdij Sluban (Vžigalica Gallery Ljubljana) or Peter Rauch (DD Trbovlje). In 2011 Photonic Moments festival became a full member of international association European Month of Photography (EMOP, since 2004), a network now connecting seven European capitals into common platform. Therefore Photon Gallery will present a previous EMoP project Mutations II – Moving Stills. Mutations was a joint project of European Month of Photography (EMOP) association, which was realized in three editions in 2006 – 2010. It is a three-part comprehensive survey of relations in the fields of photography and video. For the first time Festival Photonic Moments invites photographers all around the world to submit their works on the Photonic Moments Portfolio Review that will be held in Ljubljana, on June 8th and 9th at the Jakopič Gallery. During two days, works of selected photographers will be evaluated by a team of international curators, photo editors, gallery owners and publishers in individual 20-minutes face-to-face appointments. At the Award giving ceremony on 9 June the programme board will announce the winner of the Portfolio Rewiew and the winner of the best festival exhibition.